Charges against Joseph A. Deleskey, 38, include 16 felony counts of possessing a firearm by a prohibited person. AUGUSTA — A Mount Vernon man facing a long list of hunting-related violations came to court Tuesday and denied all 57 charges in an indictment against him. Joseph A. Deleskey, 38, accompanied by his attorney, Walter McKee, pleaded not guilty to the charges, including 16 felony counts charging him with possession of firearm by a prohibited person. The remaining counts are misdemeanors, mostly hunting law violations as well as one count of stealing drugs and four counts of criminal trespass. All the offenses occurred between November 2010 and December 2011 in Mount Vernon, according to the indictment. At the hearing in Kennebec County Superior Court on Tuesday, Justice Donald Marden granted Deleskey’s request to allow contact with his father, a co-defendant. McKee said Deleskey’s father is out of state and in poor health, and Deleskey may be called upon to help care for him. “The case has been pending for quite some time and there have been no bail issues,” McKee said. Deleskey remains free on $5,000 unsecured bail. Seven co-defendants also are charged in connection with the case. All the individuals were charged as the result of an investigation that spanned 18 months, according to a statement from the Maine Warden Service. Wardens allege that Joseph Deleskey was involved in illegally killing or wounding more than a dozen deer. His father, Richard A. Deleskey, 62, of Danvers, Mass., is charged in Waterville District Court with using artificial light to illuminate wild animals Sept. 5, 2010. He also faces six counts of night hunting and three counts of loaded firearm or crossbow in a motor vehicle; and one count each of night hunting with night vision equipment, and shooting from a motor vehicle or motorboat, all in November 2010; and two counts of driving deer and one of criminal trespass in Dec. 2011. He is scheduled to be in that court 8:30 a.m. Aug. 21. Richard M. Deleskey, 41, also of Danvers, Mass., is charged with two counts of illegal possession of a firearm, both felony charges, and one count each of nonresident big game hunting without a license and night hunting, all Nov. 4, 2010. Those charges are pending in Farmington Superior Court, where his next hearing is set for 8:30 a.m. Sept. 21. 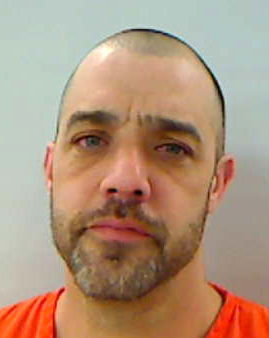 Valter Almeida, 36, of Peabody, Mass., is charged in Waterville District Court with two counts each of night hunting, fraudulently obtaining a license or permit, criminal trespass and driving deer, all between Oct. 14, and Dec. 3, 2011. Douglas Stevens III, 41, of Mount Vernon, is charged in Waterville District Court with two counts of driving deer and one of criminal trespass on Nov. 4 and 5, 2011. Robert Rooney, 48, of Vassalboro, is charged in Waterville District Court with one count of driving deer on Nov. 4, 2011. Bonnie L. Currier, 39, of Vienna, pleaded not guilty in July to four counts of illegal driving deer and one of criminal trespass in November and December 2011. Clayton C. Hall 48, of Vienna, is charged with four counts of illegal driving deer, two counts of hunting deer after having killed one and one count each of possession of unregistered deer, loaded firearm in a motor vehicle, criminal trespass, and terrorizing, all between November 2010 and December 2011. He pleaded not guilty to the charges in July. Currier and Hall’s cases are pending in Kennebec County Superior Court.